That's the battle cry of the consumer, right? The golden rule of shopping. Sy Syms took that sacred commandment one step further. If you don't know that name, he built a once legendary discount clothing dynasty, Syms Department Stores on the tagline, "An educated consumer is our best customer." Sound advice indeed. And in retail, we know how to educate ourselves when it comes to finding the best stuff and paying the least for it. It's in our DNA. Goes back thousands of years. You can picture the scene at the bazarre somewhere in Bahgdad many moons ago. The internet has only magnified our innate behavior to find the ultimate deal. And what do you do when you find that special something you just have to have? You haggle for the best deal, of course, right? But when it comes to shopping for a custom AV system and the right company to design and install it for you, the same rules of retail don't necessarily apply. In retail, you don't question why that Armani suit costs $5000 and the one at Men's Wearhouse costs $250. The salesman of the latter suit might give you a well worn song and dance about how you're getting very similar quality and tell you you're just paying all that extra money for the Armani name. But the Armani salesman would simply find your size and help you try it on and ask you to have a look in the mirror. No more words necessary. The suit tells the whole story. The quality of the workmanship speaks for itself. Now maybe you don't want to simply drop your credit card down and pay full boat. You might even find it elsewhere on sale for $3800. But you would never, in your right mind, insult that Armani salesperson and ask him if you could have the suit for $500, would you? But when it comes to deciding about AV systems and a good company to install it, it becomes much harder to educate yourself about this ever changing world of technology. A world that reinvents itself seemingly weekly. With all the AV gadgets out there and even more information to sift through about them, how are you supposed to make sound, informed decisions about the AV system you're looking forth? We simply don't have that innate price/quality/value chart readily at hand when trying to figure out how to make sense of this vast, mysterious world. Q: How do you even figure out what you're looking for in an AV system, let alone what you should pay? A: You find a good AV company who can guide through the myriad technology choices out there and steer you in the right direction to create a system that meets your needs and budget. So we'll assume that, like the well educated consumer you are, you've already done your diligence and narrowed down your search to a few good AV companies. You've asked trusted friends and associates for referrals, researched them online. Now you begin the selection process by reaching out and setting up meetings to discuss your project. After asking all the important questions that will help them to define the size and scope of your project so they can provide you an accurate quote, your AV company, if they're worth their salt, will then ask you another important question. What's your budget? Because it's pointless for them to waste their time writing up a $100K proposal for all the bells and whistles in a top shelf system, if you were only thinking of spending $10K. Now maybe you do have a budget in mind or maybe you're not sure yet. Maybe you have the means to buy whatever you want. Maybe you're on a very tight budget and can only spend X no matter what. Maybe you don't want to disclose that information in the hopes that you can extract the best deal from your AV company. But what does a good deal even look like? The quotes come back and the numbers are all over the place right on up to figures that might even shock you. (How could THAT system cost $100K??) But still, you're not quite sure what you're getting for all these different numbers because each company might be quoting different AV equipment. So you go back to your prospects and ask them to clarify the proposal. After this process, you feel you have a pretty good grasp of what each company is offering. At this point, you've probably started formulating opinions and maybe now you're leaning towards one particular vendor. So you vette them further and now, after multiple interactions you feel comfortable that this company would be a great fit because they really "get you". That retail autopilot takes over and now you begin the haggling part. You're not even sure what exactly you're haggling for but you do it anyway. It's in your DNA. Never pay retail, right? You want them to know that while you really like them a lot and would really love to use them on your project, what are they going to for you do to win your business? Now your AV company knows all too well that this is all part of the sales process. And they're prepared to deal with you (to a point). At some point in the negotiation, you're going to get push back. They will likely come back to you and explain that you're not just buying a box of parts for the best price you can get. You're buying a system. Like a car. You're buying all their experience and expertise to put all these various parts together so you can just turn the key and off it goes. Just press play. Now you've certainly heard this concept before and can see some value there but still you want a deal. But there comes a point in the negotiation where maybe there's more room and maybe there's not. So what happens when you reach that point where it's obvious this company has shown you they're working hard for your business, they've met you part of the way with your price but maybe haven't hit your magic number yet? What's the move? Do you play the card where you threaten to walk out of the store and go with the next guy who will match your price? Do you really want that outcome? Or do you realize that this AV company, the one you really like the most, can deliver you a premium service that maybe those other guys can't? Now you have to decide what is driving your decision. Is it based purely on price? Or can you see the greater value in a premium service? What price your peace of mind? Knowing you'll be getting exactly what you paid for and save yourself a major headache constantly having to look over the shoulder of the lesser guy with the better price? And that yes, this sometimes comes at a premium. To bring it full circle back to the suit scenario, we're not just talking about purchasing an AV system at the quality level of the Armani suit and trying to get it at the Men's Wearhouse price. Think of your choice for a quality AV company the way a celebrity might consider their choice for a wardrobe consultant who's responsible for their total image. The one who creates their vibe that the public will see on a daily basis. That person has a lot of responsibility. They have to put together not only the suit but the shirt, the cuff links, the shoes, the watch, the hairstyle, etc. It all has to work together as a cohesive whole. You also know that they will happily pay a premium for that service. Your AV system works the same way. So if you find yourself in the position of searching for an AV system and the right company to install it, by all means haggle. Get the best deal you possibly can. It's the American way, after all. But do yourself a favor and understand what that company is doing for you. 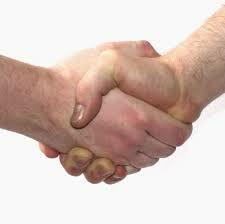 Know when it's time to stop the negotiations and shake hands. The headache you save may be your own.